There are many tools on the internet for you to find the right hotel for your needs and budget. However, you may want to consider the Courtyard by Marriott that is connected to the Bellevue Events Center where the Friday night activities will be held. The address is 3730 Raynor Parkway, Bellevue, NE 68123. Phone is 402-287-7300 (Note this corrects a previous wrong phone number). The hotel is extending a rate of $109/night plus taxes. It's brand new and the convenience cannot be beat. 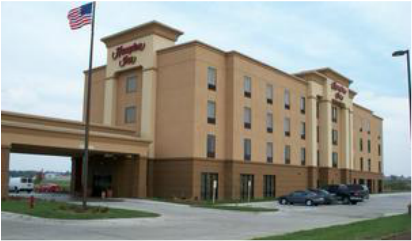 Gene Francois has connections at the Hampton Inn, 3404 Sampson Way, Bellevue, NE 68123, that is offering a room rate of $99/night plus taxes. Call Michelle Alexander, the hotel manager, at 855-428-1812. The Hampton Inn offers complimentary hot/cold breakfast. This Trivago search page identifies numerous hotels within 2-miles of the Beardmore Event Center, which is more or less central to the weekend activities.